Cliff Bleszinski’s new studio, Boss Key Productions, have moved into their base and started hiring. So Project BlueStreak has formally begun. While the ex-Gear of War developer has left AAA console development behind, the new studio has snatched up a fair few employees from that world. Designers from Epic Games, Bleszinski’s old stomping grounds; Ubisoft Montreal; and Irrational Games number among them. Between them, there’s a lot of experience in designing successful shooters, so BlueStreak is off to a strong start. “The key to building a successful company is to surround yourself with quality people, especially the ones who can do things you can’t,” Bleszinski said in a statement. 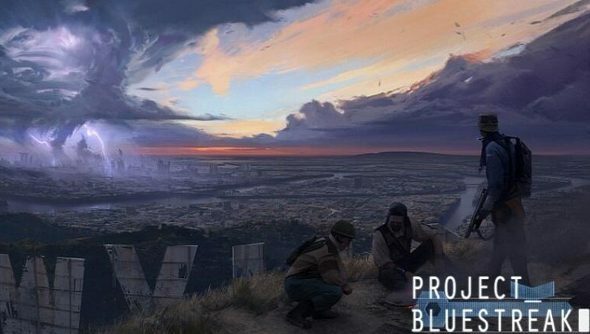 While particulars are scarce, Bleszinski took to Reddit a couple of weeks ago to answer questions about the new game, noting that it will be a skill-based shooter set in a living world with a story that isn’t dependent on over-exposition. More recently, it was clarified that this world would still be Earth.